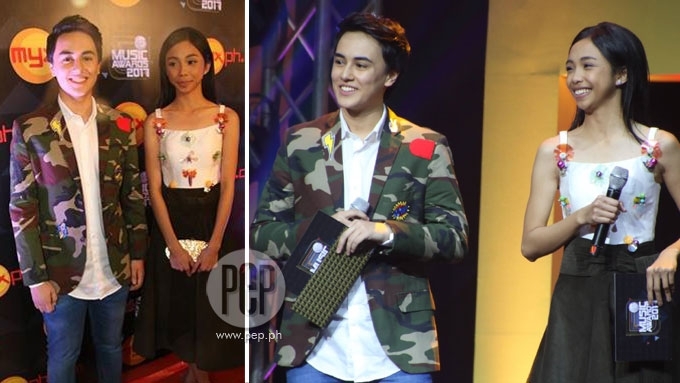 Maymay Entrata and Edward Barber of PBB Lucky 7 were tapped to be presenters in the 2017 MYX Music Awards. Maymay Entrata wants to do music video with Edward Barber, her fellow housemate from Pinoy Big Brother Lucky Season 7. The duo, popularly known as the MayWard love team, was tapped to present nominees in the 2017 MYX Music Awards held last night, March 16, at the KIA Theater. Onstage, Edward asked Maymay: "Gusto ko malaman how excited are you to be here at the MYX Music Awards." The girl from Cagayan De Oro admitted, "Alam mo naman yun, di ba, sobra-sobrang excited..."
However, Edward stopped her and said that she should answer in English. Maymay took up the challenge and said, "Sige, I'll speak in English for you. 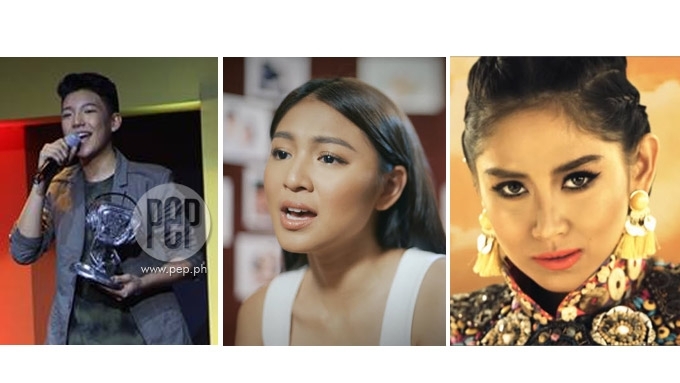 It's so very happy to be part of this MYX Music Awards because it's so overwhelming that I will see all the famous artists here." The PBB Lucky 7 Big Winner then told her partner, "Sana makagawa tayo ng music video for 'Baliw' para mapanood rin tayo sa MYX!" "Baliw" is the title of the original song that the MayWard tandem composed during their stint in ABS-CBN's reality show. In response, Edward said with a smile, "Hopefully we can get to do that and next year we can get nominated and come back here." At that point, Maymay said that they were there to present the award for Favorite Music Video.